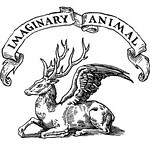 Imaginary Animal: cute + cute = ? cute + cute = ? here's sweet little ivy modeling a couple of kids items from plastic foliage. first is one of my favorite things in the shop: the organic baby tee. it's just about the softest thing ever. and here is a little striped tunic that looked adorable on her. i think this would be the perfect thing for a beach baby. i already miss little ivy and her big big eyes.